If you’re thinking about 2015 resolutions that make both your world and the world better, start in your kitchen. It’s probably a hub of activity in your life, offers plenty of opportunities to save money and — because it’s a key area of resource use and waste production — it’s a great place to make changes with an environmental impact. The resolution: I will make fewer shopping trips. Shop less frequently (especially for non-perishables) with a shopping list to eliminate forgotten items. How you benefit: Save gas and time, and make fewer potentially unhealthy and expensive impulse purchases. How the environment benefits: Less fossil fuels used. The resolution: I will buy local food. Take control over your purchase of food and prioritize what you can find that’s locally grown and in season to put your eating in sync with your geography. Many co-ops and natural food stores champion local food. Also, check your local media for info about farmers markets and CSAs, or look them up on the Local Harvest website. How you benefit: Get fresh, in-season food from people in your community and support your local economy. How the environment benefits: Lower carbon footprint with less travel and packaging for food that’s in harmony with your geography and seasons. The resolution: I will choose organic whenever possible. Finding certified organic products is increasingly easy, even in conventional grocery stores. Look for organic produce, meat, beans, grains, peanut butter, milk, cheese, spices and even snack foods. How you benefit: Reduce pesticide residues in your food and environment. Buying organic also ensures that your food is free of genetically modified organisms (GMOs). How the environment benefits: Reduced negative environmental impact of harsh chemical pesticides and herbicides that pollute our environment. The resolution: I will buy food produced ethically and sustainably. Research food brands and providers that produce their goods without exploitation of people or land. You’ll enjoy your food more knowing it was grown with respect for the environment and that the people who produce it are treated fairly and respectfully. How you benefit: Feel good knowing that your food purchases support your values. How the environment benefits: Supporting ethical, sustainable sourcing (e.g. small farmer co-ops) and manufacturing creates a more caring relationship with the land and more responsible use of resources. The resolution: I will buy in bulk. Take advantage of one of the greenest and most economical ways to shop — bulk. Learn about the advantages of buying in bulk from the Bulk is Green (BIG) Council website. How you benefit: Lower prices and ability to purchase only the amount needed. How the environment benefits: Reduces resource use and waste due to less packaging and less transportation weight. The resolution: I will waste less food and water. Store food properly, recycle any packaging that you can and compost biodegradables like eggshells, coffee grounds, and fruit and vegetable skins. To conserve water, install an inexpensive faucet aerator and fill your dishwasher completely before using it. How you benefit: Reduces resources purchased but not used (i.e. waste) — and your water bill. How the environment benefits: Reduces local waste stream and greenhouse gas emissions. The resolution: I will consider energy efficiency when I choose cookware and appliances. Use pots and pans that distribute and retain heat better, requiring less energy. Use energy-efficient appliances (with the Energy Star seal of approval) and conservation settings on your appliances to save energy. A little internet research will help you invest in quality energy efficiency items that will last well. How you benefit: Lower energy costs and replacement-cost savings on longer–lasting high-quality items. How the environment benefits: Less energy resources required and reduced waste stream. The resolution: I will use green cleaning products in my kitchen. How you benefit: Save the cost of expensive chemical-laden commercial products and their packaging and customize your cleaners to your needs and preferences. How the environment benefits: Reduces chemicals put into the air and keeps containers out of landfill. Small changes often yield big results, in both our habits and the environment. This is especially true in our kitchens, where we satisfy one of life’s basic needs, use resources in abundance and create waste. Make some of these simple resolutions to make your kitchen greener. Not only will you be helping the planet, you’ll be helping your budget — and you’ll have the satisfaction of maintaining a more sustainable kitchen. 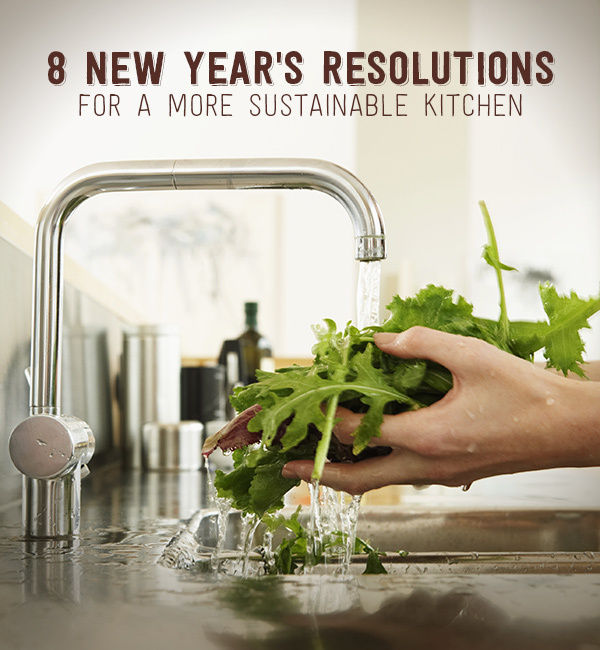 How will you make your kitchen more sustainable in 2015? 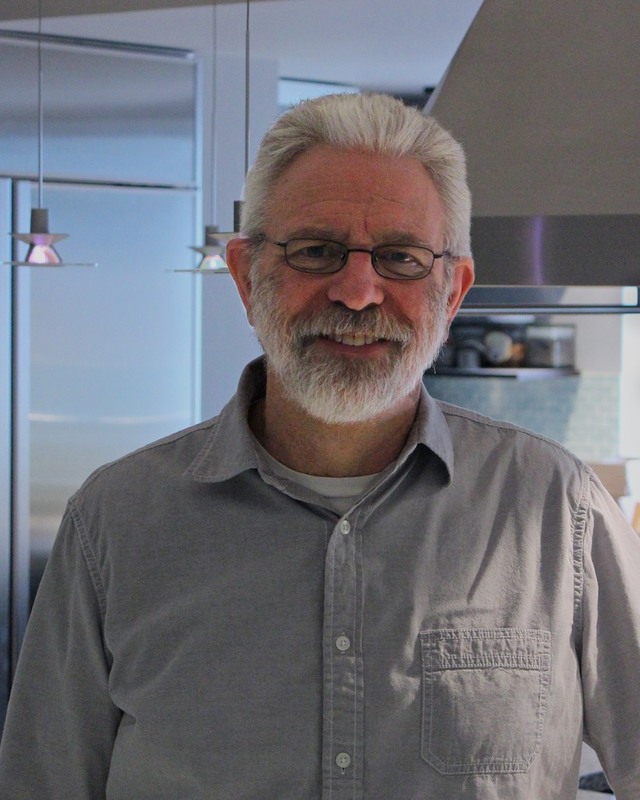 About the Author: Alan explores ideas and issues related to a sustainable lifestyle — from cooking and culture to social and environmental responsibility. He enjoys Shakespeare, but not as much as college basketball (Go Hawks!). Alan is a family man, liking nothing better than spending time with his wife of 35 years, his four kids and grandkids. This entry was posted in In the kitchen, Sustainability by Cayenne Room. Bookmark the permalink.